On the urging of a few friends, *Glares at with a little smile* I've been convinced to post some of my sketches. This is an old sketch I did of a character of mine from an rp. The rp kind of fizzled out right after starting, but the character still survived somehow. Methinks his interesting backstory saved 'im. 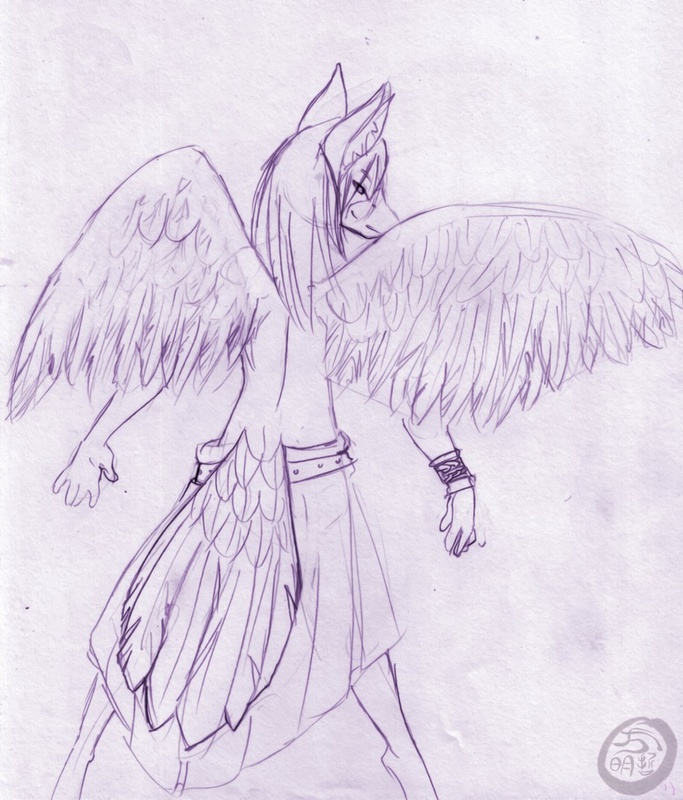 This sketch was also a practice for drawing wings. it would appear that I need a good deal more practice! Anyways, hello again everyone! Enjoy!